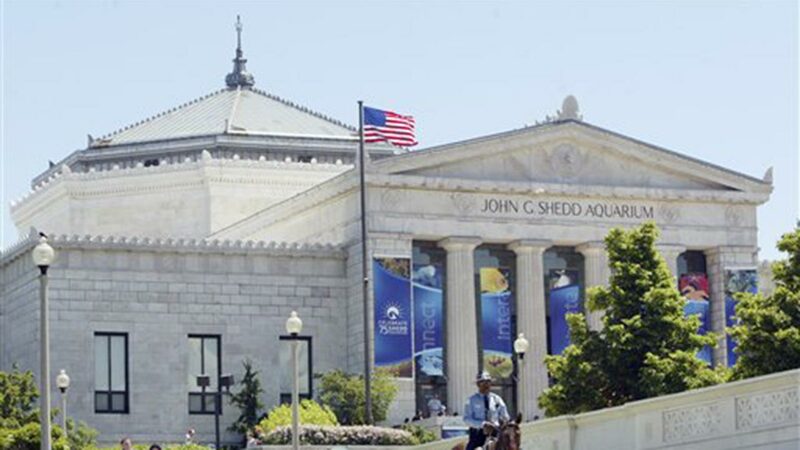 CHICAGO (WLS) -- The Shedd Aquarium is officially affiliated with the Smithsonian Institution in Washington D.C.
That means the Shedd is now part of a museum network of more than 200 organizations in 46 states, Puerto Rico and Panama. The Shedd will be able to exchange ideas, professional research and information about new and current exhibitions. "We are honored to be affiliated with the Smithsonian in our shared goals of increasing discovery and inspiring lifelong learning. This partnership is an incredible collaborative resource that will help us deliver more mission moments to more people with greater impact, both onsite and in our communities," said Shedd Aquarium President and CEO Bridget Coughlin. Shedd Aquarium joins the Adler Planetarium and the DuSable Museum of African American History as the only organizations in Chicago to hold affiliate distinction. The Shedd is also one of only two accredited aquariums in the network, joining the Georgia Aquarium.